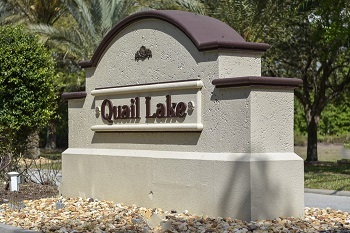 Quail Lake is a very private and quiet, real estate community in Lansbrook located in the highly popular East Lake area of Palm Harbor. At Quail Lake, you will find elegantly decorated homes for sale with special attention to style and detail. The extravagance of these four, five, and six bedroom one and two story homes are sure to be inviting. Flowing floor plans walk you through to savor the beauty found in each individual room. Volume ceilings with windows galore bring the brightness of the Florida sunshine right in to your home. Custom built amenities such as built in shelving and entertainment centers, wet bars, kitchen nooks, butler's pantries, and more add to the comfort and conveniences of living in a Quail Lake home. Not to mention the fantastic specialty items. Imagine a double sided fireplace in your master bedroom and master bathroom. Hardwood floors and the highest quality carpeting and tile are found here, as is items such as crown molding, marble, and custom wood cabinetry. These luxury homes boast top of the line interiors when it comes to quality of materials, such as bamboo flooring, crystal clear swimming pools and spas with enormous screened enclosures. Quail Lake properties offer between over 3000 and almost 7000 square feet of living space with special features such as media rooms, bonus game rooms, and in-law suites that are perfect for house guests. Built in the midst of a tranquil conservation area, Quail Lake offers homeowners and their families and visitors water access to Lake Tarpon for boating, fishing, and other water sports. 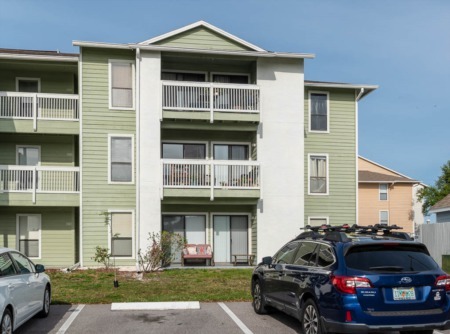 Golf in Lansbrook, picnic at the park, walk and bike on the Pinellas Trail, or bask in the sun at the beautiful nearby beaches. 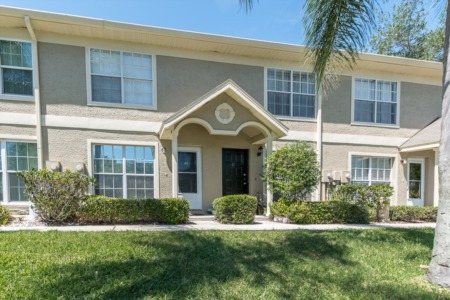 Close to top rated Pinellas County schools, library, YMCA, and all of Palm Harbor's area entertainment and restaurants. Selling your Home in Quail Lake? Contact Lipply Real Estate and speak with an agent about selling your home. We will work with you every step of the process to get the best possible sale. We have been an avid part of the Palm Harbor Community since 2002 and plan on expanding our client list. Contact us today and see what the future has in store for you!